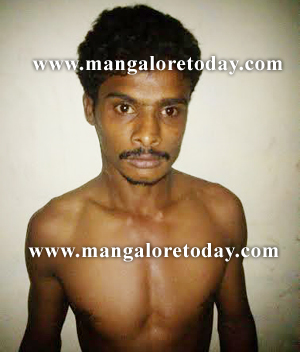 Mangaluru, Dec 24, 2014: A four year old girl has been allegedly raped by the assistant of a cable operator at Derlakatte on December 23, Tuesday. The area which grew tense soon after the incident came to light, cooled down with the arrest of the accused by the Konaje police. The arrested person is Ashraf (23) of Kedambady in Manjeshwar who worked as an assistant with Derlakatte’s cable operator Pradeep. It has been gathered that he had resorted to the heinous act after entering a house on the pretext of repairing cable. It is learnt the woman in the house had initially asked Ashraf to come later saying the male members were away. However, she let Ashraf in when he said he cannot come later on. Sources said Ashraf sexually assaulted a four year old girl in the house by sending her six year old brother outside to get something. When the mother of the child rushed to the room where the cable was being repaired, she came to know of the incident. However, Ashraf soon took to his heels. A complaint was later lodged with Konaje police. The Konaje SI Sudhaker who acted swiftly went to the cable control room in civil dress and cleverly managed to make Ashraf who was hiding inside, come out. In the meantime, gathering information that the accused belonged to another community, even members of Hindu outfits had begun a search for him. However, the police have won acclaim for apprehending the accused very soon. It is learnt that the accused was a sexual pervert and a ganja addict. He has reportedly admitted his guilt. On the other hand, it has been gathered that cable operator Pradeep on learning that his assistant has been arrested on sexual assault case of minor, had threatened TV channels against airing the news.